For patients in cardiac arrest, every second counts, and targeted temperature management (TTM), or therapeutic hypothermia (TH), can prevent further damage. 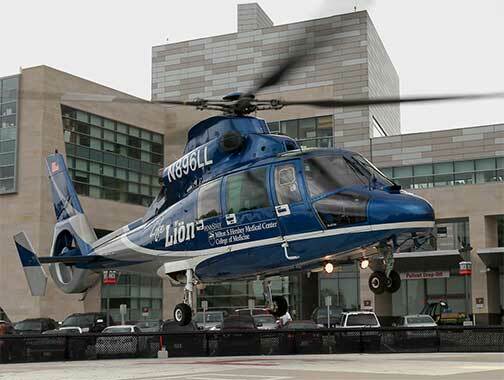 At Penn State Health Milton S. Hershey Medical Center, TTM protocol begins in the field, as the mobile intensive care unit, Life Lion, is empowered to initiate this neuroprotective therapy to unresponsive patients with vital signs. Upon arrival at the Medical Center, cooling to a targeted temperature of 32 to 36 degrees Celsius is continued via leg and torso wraps that are connected to a core cooling/warming pump device that travels with the patient to the cardiac catheterization lab and to the cardiac critical care unit. This temperature range is new, and recently has changed based on the most current research. TTM has been shown to improve neurological outcomes in patients following sudden cardiac arrest with return of spontaneous circulation (SCA-ROSC).1 A cerebral performance category (CPC) scale is used to measure cognitive recovery. 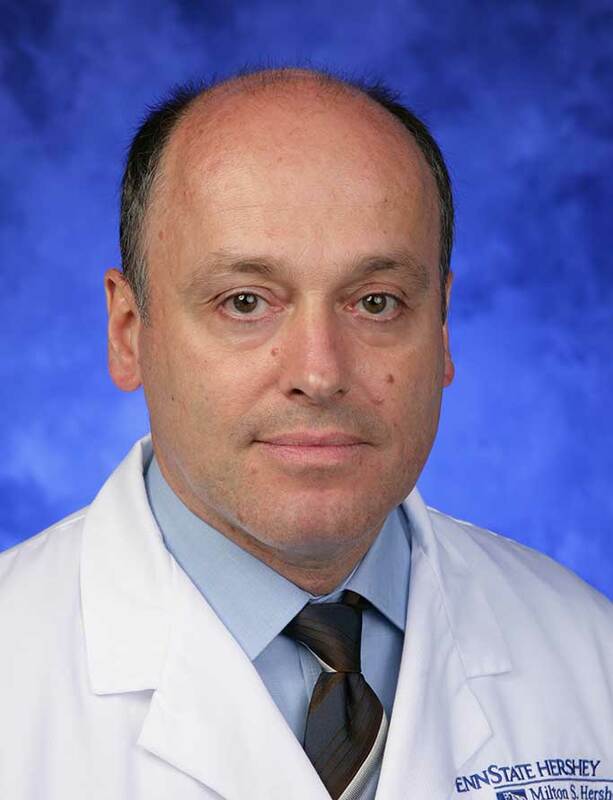 A team-based, collaborative approach is crucial to the success of this program, says Steven Ettinger, MD, director of operations, Penn State Heart and Vascular Institute. “It’s key to bring the best of the various specialties to the patient’s bedside,” he says, emphasizing that this collaboration begins in the field with the emergency medical technicians in the Life Lion air and ground medical transport program, and continues with emergency medicine physicians, interventional cardiologists, cardiologists, neurologists and intensivists sharing responsibility for the patient’s care. The end goal is to optimize the patient’s recovery by preserving not only cardiac function but also brain function. On average, 60 patients benefit from this treatment annually at Penn State Health Milton S. Hershey Medical Center. 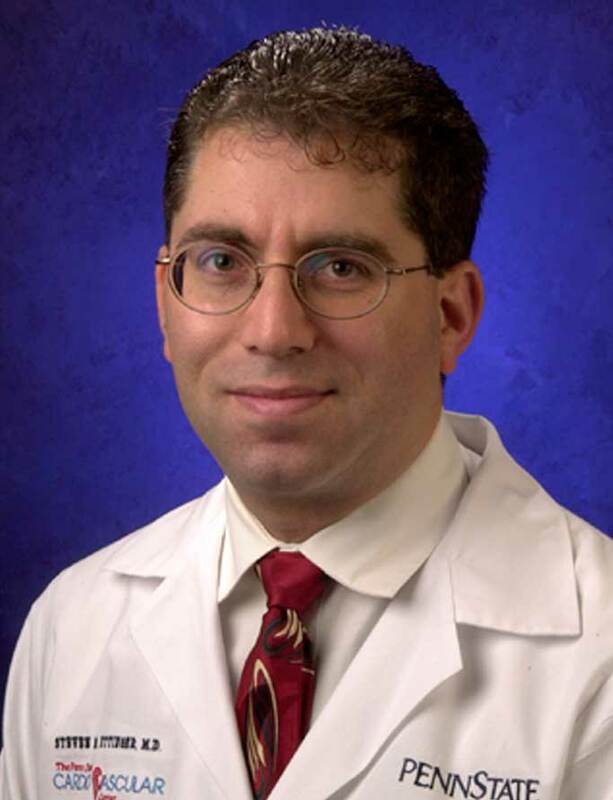 Dr. Brehm also stresses that outcomes are improved for patients in cardiac arrest with the Heart and Vascular Institute’s availability of advanced technology, such as extracorporeal membrane oxygenation (ECMO), to help keep patients alive until neurological function can be adequately assessed. One study demonstrated that this therapy is associated with a 40 percent improvement in the 30-day survival rate.2 Assessment of neurological function can often take days, as TTM and rewarming are processes that must be undertaken slowly to avoid sudden arrhythmias. In addition, ECMO stabilizes the patient’s hemodynamics and prevents organ damage that can occur with prolonged cardiogenic shock. ECMO, combined with the detailed TTM protocol, improves chances of not only survival, but return of cognitive function. Fellowship: Cardiology, Penn State Health Milton S. Hershey Medical Center, Hershey, Pa.
Residency: Internal medicine, Long Island Jewish Medical Center, New Hyde Park, N.Y.
Ettinger SM, Blosser S, Terndrup T, Reichwein R, Sarfield E, Bressler S, et al. Abstract 89: Penn State Hershey: 4-Year Experience in Mild Therapeutic Hypothermia Program – Lessons Learned. Circulation. 2011; 124: A89. Leick J, Liebetrau C, Szardien S, Fischer- Rasokat U, Willmer M, van Linden A, et al. Door-to-implantation time of extracorporeal life support systems predicts mortality in patients with out-of-hospital cardiac arrest. Clin Res Cardiol. 2013 Sep;102(9):661-9.